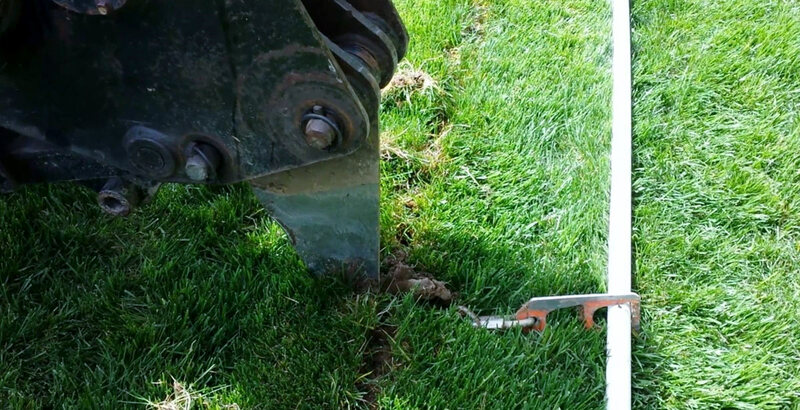 Our team installs lawn irrigation systems operating a vibratory plow, a trenchless machine specially designed to pull pipe and wire underground by direct burial procedure, properly burying PVC pipe at a depth of 10-12”, avoiding even the deepest aeration. We bore under driveways and walkways, while not damaging any hardscapes. We carefully dig around utility markings and in flowerbeds. Utilizing our trenchless irrigation installation, along with the aid of running your sprinkler system, your lawn will heal quickly. After just a few short days, there will be little to no evidence any visible signs that work was performed on your property.